Beth El Synagogue Center encourages our congregants to take an active role in Shabbat morning services. This includes congregants reading the weekly parasha from the Torah as well as chanting each week's Haftarah. Please use the list below to sign up to read. After you sign up, Cantor Aqua will reach out to you to confirm your sign up and to see if you need any assistance. Please try to sign up at least two weeks in advance of when you wish to read. Because we read the Torah in synagogue according to the ancient trope (cantillation) from a scroll that does not have vowels or cantillation marks, reading Torah is an acquired and rewarding skill. The Haftarah also is chanted according to the trope, but is read from a book with both vowels and cantillation marks. If you are unfamiliar with the cantillation or how to prepare to read the Torah or Haftarah, and would like to learn, Cantor Aqua would love to teach you. If you already have these skills and need a refresher, he can send you a copy of the text, prepare an audio recording, and meet with you to go over your reading. There also are many useful resources available online. The Beverly Hills Chabad offers an online tikkun (Torah text on one side, and text with vowels and cantillation marks on the other side). Scroll Scraper and Tanach on Demand allow you generate your own tikkun on the fly. And Chabad offers an interactive text with linked audio. If you have any questions, please contact us at [email protected]. 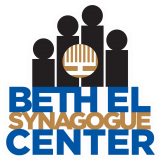 For more information about Beth El Synagogue Center, please visit our website.